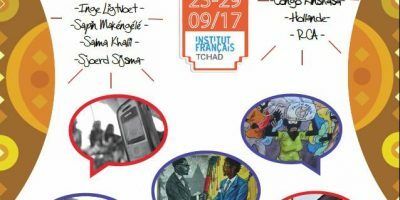 On this page, you can download the booklet and full programme of the end conference of the research project ‘Connecting in Times of Duress: Understanding communication and conflict in Middle Africa’s mobile margins’ (25-28 October 2017). The programme of the conference is divided into six panels, themed ‘Escape Routes’, ‘Virtual Communities: Empowerment’, ‘Virtual Communities: Resistance’, ‘Duress and (Digital) Silence’, ‘Remembering in Generations’ and ‘Nomadic Minds’. Keynote speakers are Saïbou Issa and Shamil Jeppie. You can now read the full programme here (in English) and here (in French). In the booklet, you can find detailed information on the academic programme, the keynote speakers and the panellists. You will also find more on the conference’s cultural programme, which includes an art exhibition, film screenings, and a public panel discussion. To download the booklet of the CTD End Conference, click here.